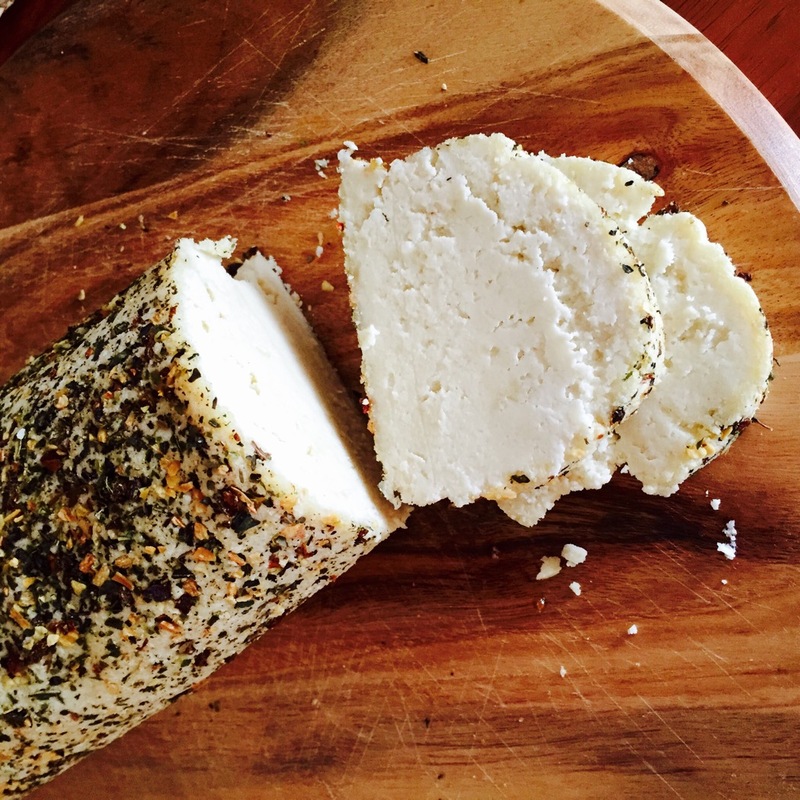 I have been searching for a dairy free feta cheese recipe for ages. Finally, I made one today and it tastes well, pretty much like the real thing. So I am very happy to be sharing this with you. Every since I was a little kid, I couldn’t eat or tolerate dairy very well. I learned to love sorbet’s instead of ice cream. I guess it’s not a bad thing, since there is so much information out there about the negatives of dairy products. Although the dairy industry will disagree – they only see the positives when it comes to consumption – which is fair enough. But when it comes to the health of my family, I will make my own decisions, not purely on taste. So it’s taken me ages to get rid of the ‘chicken skin’ look to disappear from the back of my arms, face and neck; the hubby gets really bad sinusitis from dairy, so we very rarely do consume it. If, we do eat it, I avoid yellow cheese and opt for the white, cultured cheeses and organic if possible. I do want to get into the habit of making my own from scratch, and a nut based one – much more fibre content (I’m all about fibre). My 2 year old, doesn’t have any allergies, thankfully, so I’m training her tastebuds for non-dairy options. Anyway this recipe is easy to form into cubes or balls, which could then be drenched with a beautiful and delicious extra virgin olive oil, sprinkle of fresh thyme, rosemary etc. I’d bake it just to make a slight crust, so it holds its shape easier. I am making a log version, so I can slice it and add to salads or use to top off bakes and casseroles etc. This feta, crumbles like a ‘Greek’ style type so it’s a perfect addition to a salad. Bake it for longer and you get a thicker crust which makes it easier to slice to top your sandwiches with. Cover the almonds with filtered water, and leave overnight. The next day, I blanch the almonds and peel the skin off. This is optional – blanched almonds gives the feta a white colour with no specks. Place almonds and salt into TM bowl and grind speed 9-10, until it’s finely ground. 12-15 seconds. I usually scrape down the sides of the bowl with a spatula and grind down again. Add the garlic, lemon juice and apple cider vinegar, mix till well combined, speed 6-7 for a few seconds. Decrease speed to 4 and in a steady stream, add the olive oil. Once oil is incorporated, increase speed to 9 for a final mix – to ensure smooth consistency is reached (as seen in photo). Optional – Sprinkle a baking sheet of paper (big enough to fit into a loaf tin) with your favourite herbs and spices. I used Italian herbs and freshly cracked black pepper. Empty the contents of the TM bowl onto the baking sheet and form into a log – I use the baking sheet to roll it out – this way my hands stay clean and all the sides get covered with the herbs and spices. Place into loaf tin and bake in oven at 130°C for 35 minutes. Wait until cheese is cool before slicing it. 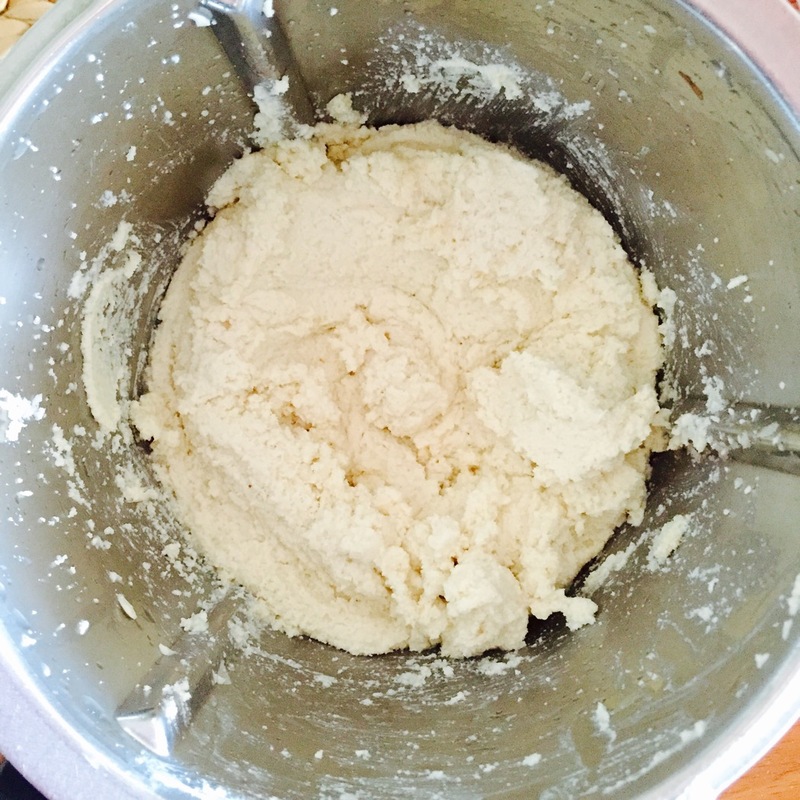 Place blanched almonds into a food processor and grind down, till very fine. After the initial grind, add the remaining ingredients and process. Every now and then scrape the sides of the bowl and continue to process. When you are happy with the consistency, as seen in the photo, it will be easy to form into a log, cubes or balls. 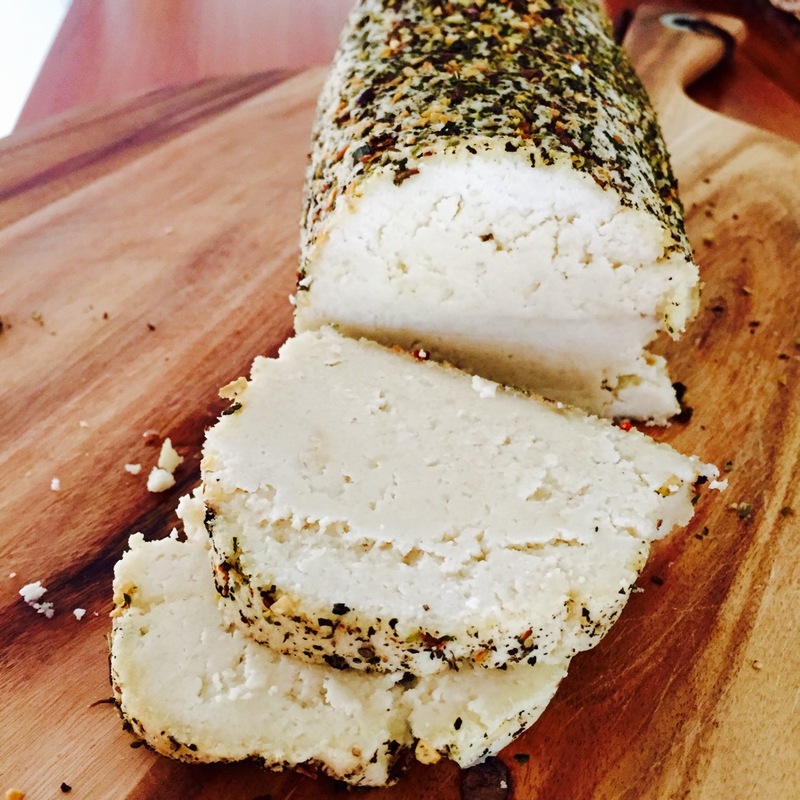 Place cheese onto the baking sheet and form into a log – I use the baking sheet to roll it out – this way my hands stay clean and all the sides get covered with the herbs and spices. Sugar. It’s a word that used to be sweet; but that isn’t the case these days. I mean, It’s been plastered all over the media these last few years telling us how bad it is especially for our health and all! Luckily, I am not a sugar craving type of human being any more; give me a grain of salt, preferably Himalayan pink or Celtic sea salt, any day. There are a few days where I just want something sweet, but I don’t want the common sucrose, table sugar. When I am hit with a craving such as this, I want something really rich and satisfying. I’d much rather have a lick of something decadent over constantly going back for more and more spoonfuls of a particular chocolate hazelnut spread that so many people are fond of. I know sugar is addictive. Science has proven it. I was once addicted to it. Back in the day when I was a little kid, I’d go crazy looking for something sweet. Searching high and low, in my mum and dad’s wardrobe (mum usually hid it there, thinking we’d never find it, but we always did – they obviously never learned from their mistakes ;P). If however, there was a box of ‘roses’ shortage, there’d always be a can of condensed milk in the pantry. To this day, I don’t know how I could smash a good quarter of it, right then and there! Ewww!! Because I have an almost two year old, little toddlers are more inclined to pick something sweet. I’m always thinking of what to make, meals and snacks, that pack a nutritional punch. It’s almost winter here, and this last week, we both have been fighting a head cold of some sort. Oranges are in season, and how good is it they are filled with heaps of immune boosting nutrients? We’ve got vitamin C, bioflavonoids, beta-carotene, lutein, potassium, zinc, B vitamins, iron, magnesium and a bit of calcium just to name a few. My toddler has not had the best appetite over the last few days due to being a little under the weather. I know she’s fine, but being a mum, you want your child to eat (I’m sure this resonates with the maternal people). We are blessed in Australia, because we have access to such delicious fruit, and by fruit I mean the humble AVO! Avocados are nutrition powerhouses, and my little one, does NOT like them! So, what do I do? Hide it in her food. Mash it up with banana, sweet potatoes/potatoes, in her porridge, smoothies and in ‘desserts’. 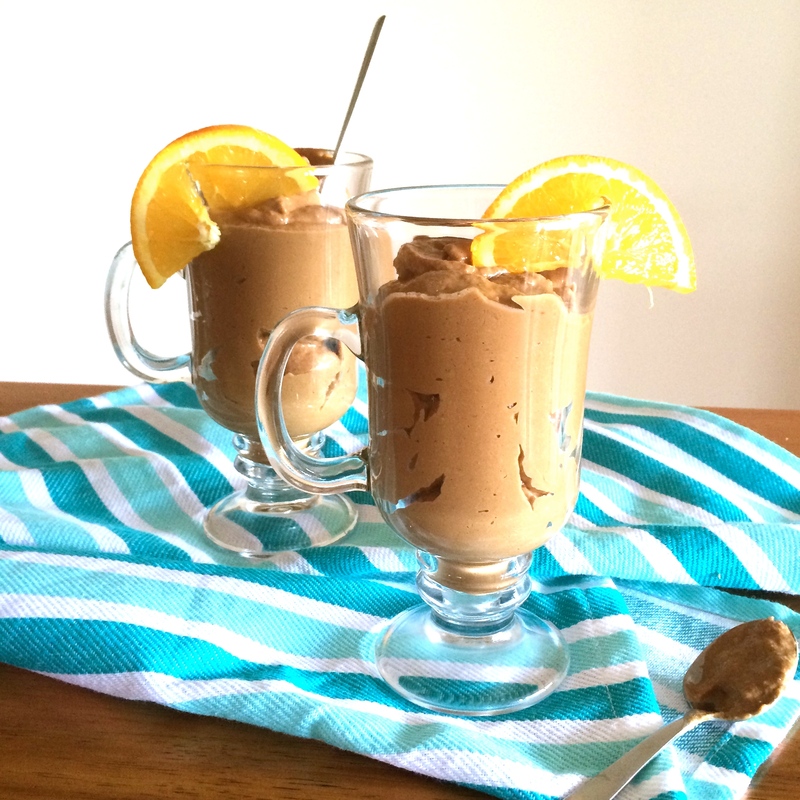 If you haven’t tried a chocolate avocado mousse, I know it sounds weird, but let me tell you, it’s so rich and creamy, so satisfying and it doesn’t leave you feeling heavy, when you compare it to a dairy milk version; please give this ago. Sweet treats are an occasional food. They contain sugar, be it glucose, fructose, galactose, sucrose, whatever. Sugar is still sugar – just choose a better option. I always opt for a sweetener that is less processed than sucrose aka common table sugar, so I use sweeter fruits like ripe bananas, apples, pears, oranges, figs, prunes, dates. I also like molasses (although I have to be in the mood for this one), coconut sugar, pure maple syrup and honey. Anyway here’s my recipe. Please enjoy. Place cashews, salt, sugar, coconut and cacao into TM bowl and grind 10 seconds, speed 10, until the cashews are ground up. Scrap sides and bottom of TM bowl to loosen, as nuts can turn into butter and if they are stuck to the walls of the bowl they won’t incorporate nicely into the mousse. 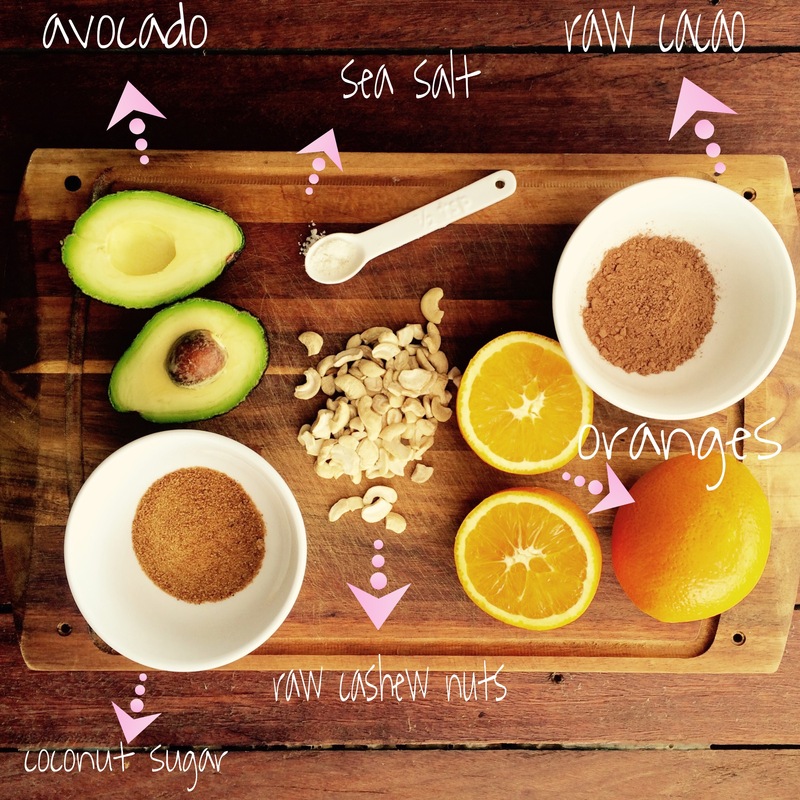 Add avocado and oranges and blitz for up to 1 minute, speed 10. or until your desired consistency has been achieved. Scrape down sides every now and then. Place all ingredients into a blender and blitz until smooth in consistency – about 5 minutes, stopping every 30 seconds to scrape sides. When nice and smooth, spoon mousse into glasses or bowls and either eat straight away, or if you can wait, pop them in the fridge for a few hours. Every now and then, I like to make my husband a vegetarian option for his sandwich fillers. Personally, if I would have the same sort of deli, cured, smoked meat in my sandwich everyday, I know I’d definitely get sick and tired of that filling pretty quickly. And not to mention, how ‘heavy’ or hard on my digestion it would be; don’t even get me started on what sort of ingredients/chemicals are in those ‘foods’ (if you can call it that). I actually never buy any of those sorts of meats anyhow. I usually bake a lentil and brown rice loaf or a pumpkin seed and sunflower seed loaf, but this time, I just didn’t want to turn my oven on a). it takes ages for it to preheat; b). having the oven on will only make my kitchen hotter – I’m usually really hot as it is anyway and c). I usually over bake the loaves and they are a firm and dryish consistency, that’s why lots of mayonnaise or a slice of tomato really makes it yummy and easier to swallow. I love steamed puddings. Why not make a savoury steamed nut pudding? I thought to myself. Nuts are packed full of nutrition, minerals in particular, good fats and protein, have heaps of fibre and therefore leave you feeling fuller for longer. I am sure that you’ve heard of activating nuts before. It is a good idea to ‘activate’ raw nuts. All you have to do is soak them over night in cool or room temperature water; drain off the water and rinse the nuts of the impurities – the enzymes have now been ‘activated’ and the enzyme inhibiting factors or anti-nutrients will now be ‘washed away’. This makes the nuts easy to digest, is easier on the liver and you absorb more nutrients this way. They do go off within a few days, so activate as many nuts as needed to prevent wastage. Or you can activate kilos of nuts at a time, dehydrate them and pop them back into the freezer ready to use anytime. When making this pudding there is no need to dehydrate the nuts to make them crunchy again; however, if you want to make a nut butter, it is a good idea to dehydrate them. Tip onto a plate, slice it up and I like to have it with a gravy or sauce, either a mushroom and parsley sauce or a homemade tomato based gravy. It’s great as a sandwich filler with mustard, mayo and slices of tomato; or it’s a perfect Mock Roast Turkey for any festive celebrations.